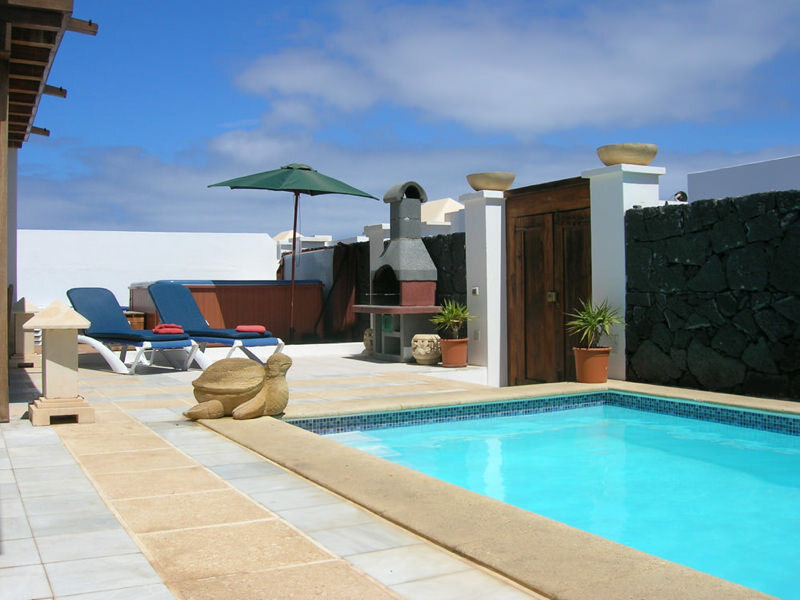 Villa Elaine is a detached private villa with a fully heated pool. It also has a shaded patio and pergola area. Free towels, high chair, cot and Wifi. 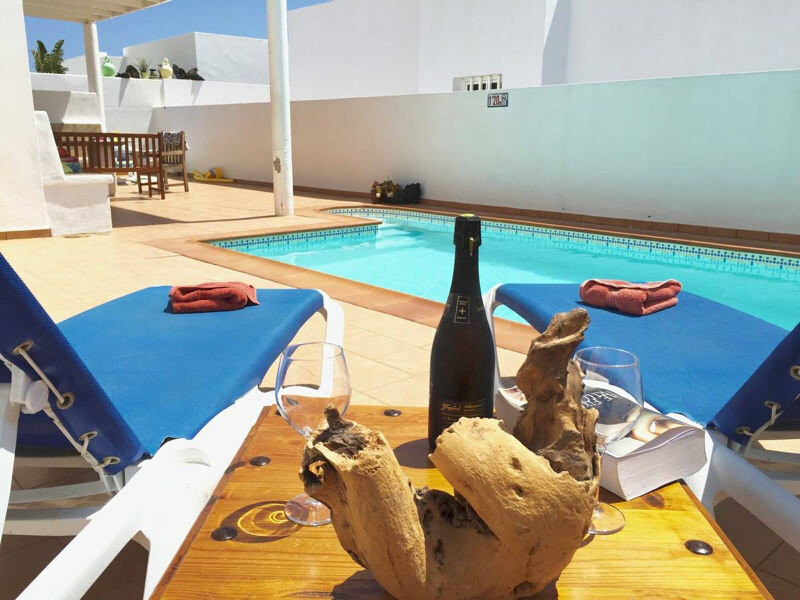 Villa Elaine is ideal for those not wishing to hire a car, being well positioned just a two minute walk from the centre of Costa Teguise, and three minutes from the beach. 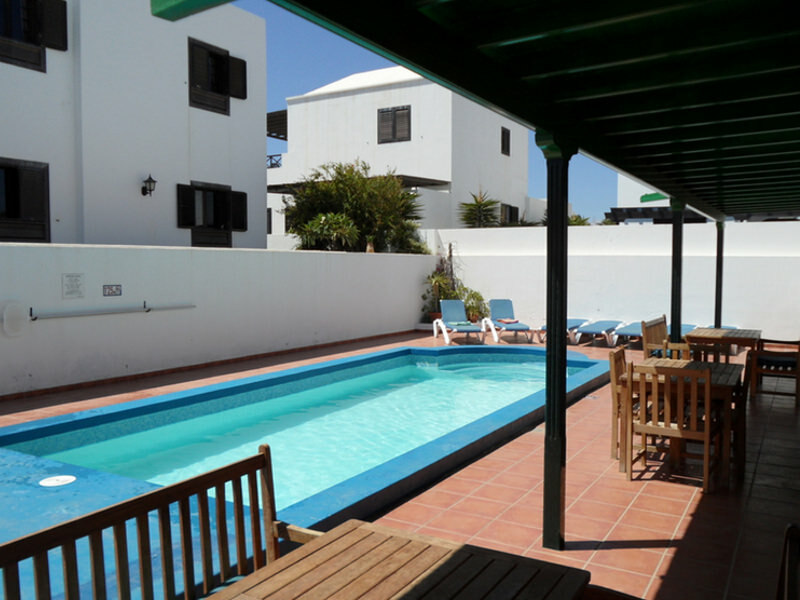 This typical Canarian-style whitewashed luxury villa offers comfortable accommodation for up to six people, plus infants, set on a single floor. 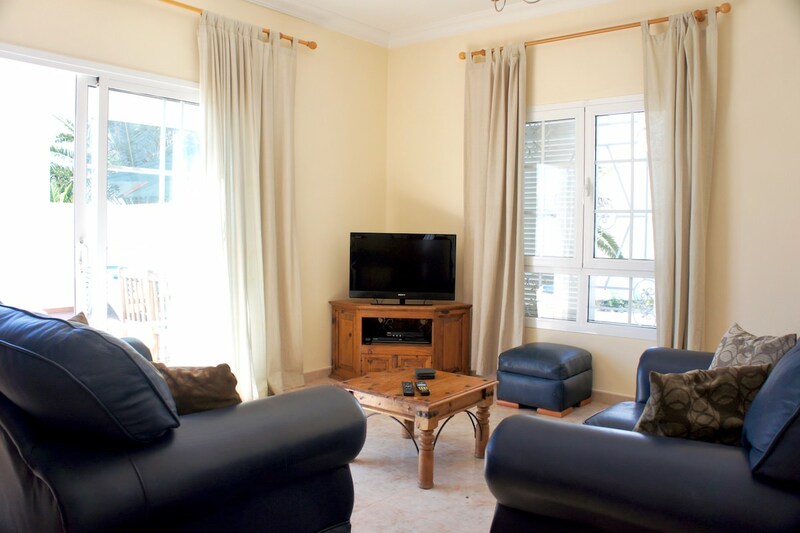 The property offers a wonderful relaxed ambience; the perfect place to unwind. 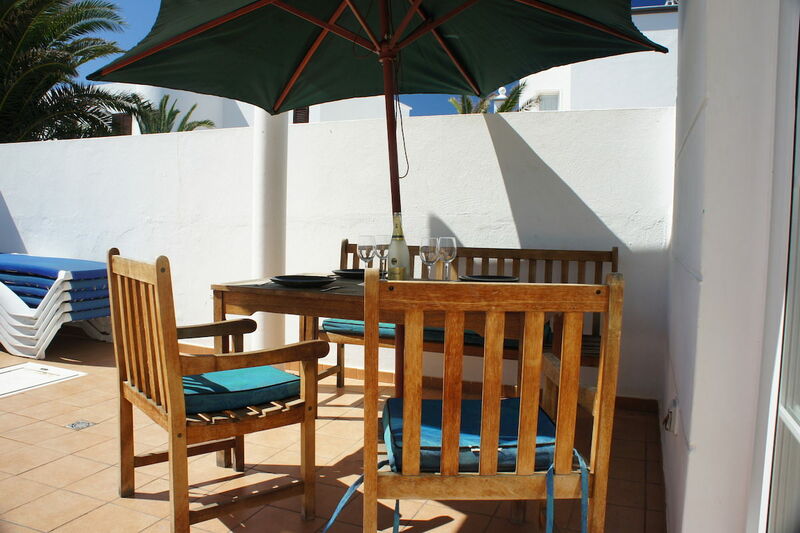 There is also plenty of space to enjoy the sunshine outdoors, with a large terrace and private pool. Three bedrooms: one king size bed plus en suite; two twin beds. Bathroom with a fitted cubicle shower. 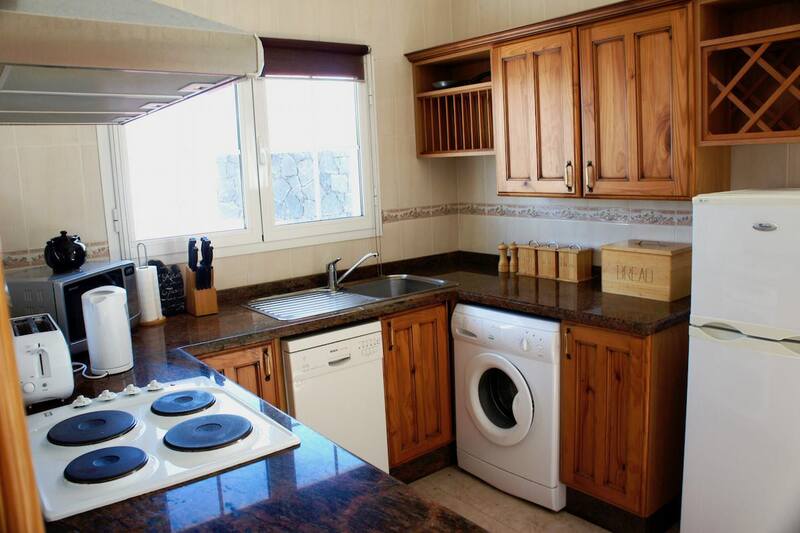 Fully-fitted and equipped kitchen, including a washing machine and dishwasher. Lounge area furnished with leather sofas. TV with English speaking channels, DVD and CD midi. Patio and separate BBQ area. 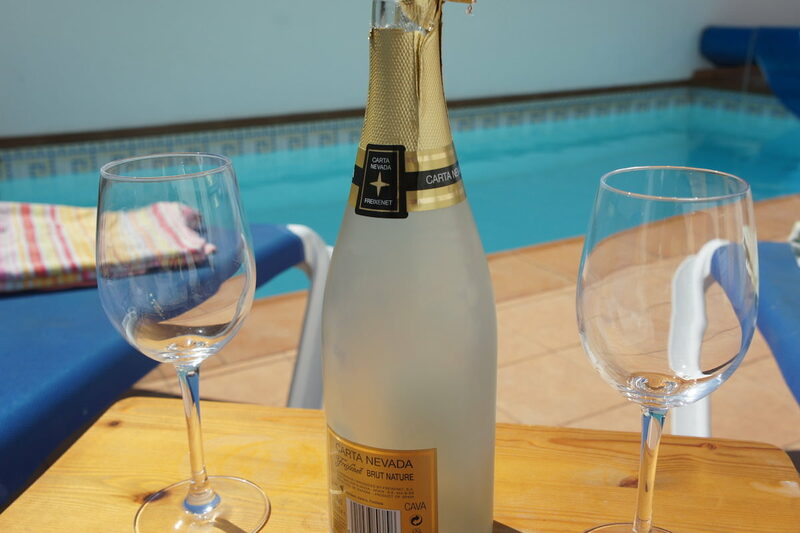 Thursday is the usual arrival day for those staying at Villa Elaine. 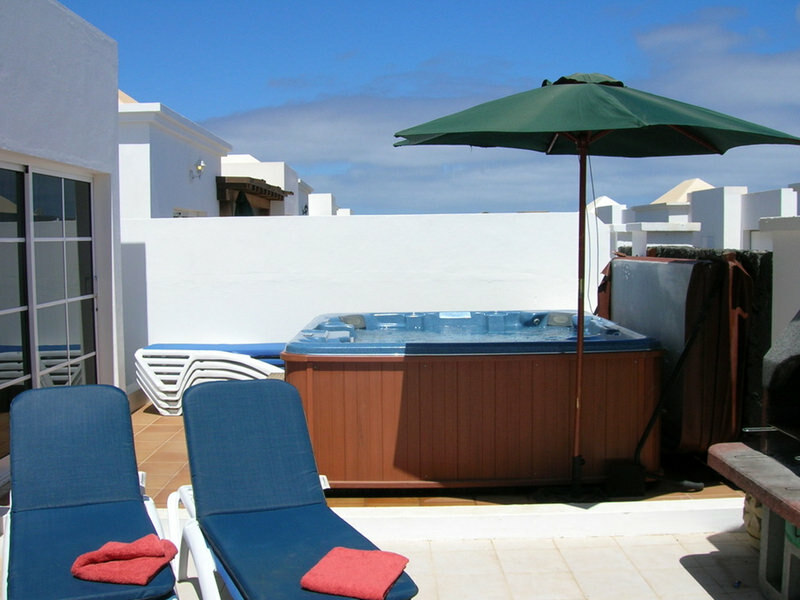 Including in the price is a mid-stay towel change and maid service, along with a pool clean and test, on Sunday. The mid-stay services are subject to change depending on the length of your stay with us. 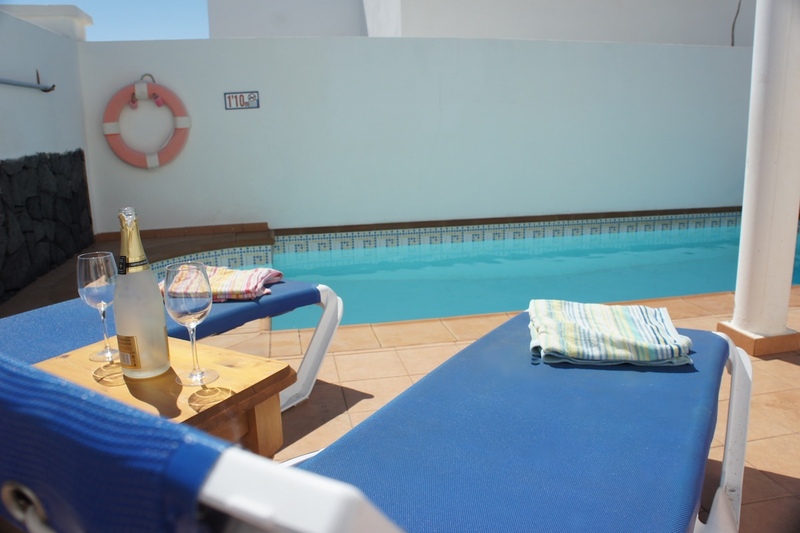 Fully Heated Pool with Sunken Steps with Thermal Blanket Dual Pool heating type both Electric and Solar Shaded Pergola Area 6X Sun beds Beach Towels Patio BBQ & Tools Garden seating with table for outside dinning (Under pergola). 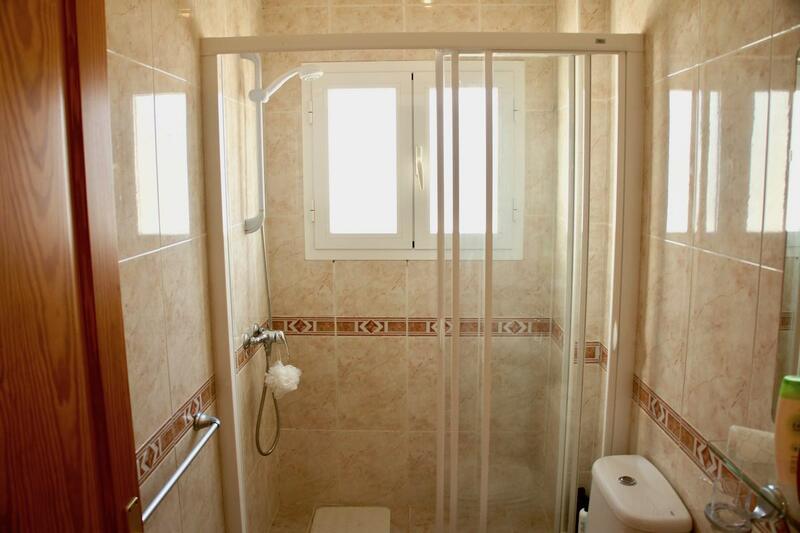 Master en-suite, 2nd Bathroom, C/W, Shower Cubicle, Villa Towels, Bath and Hand Hair Dryer. 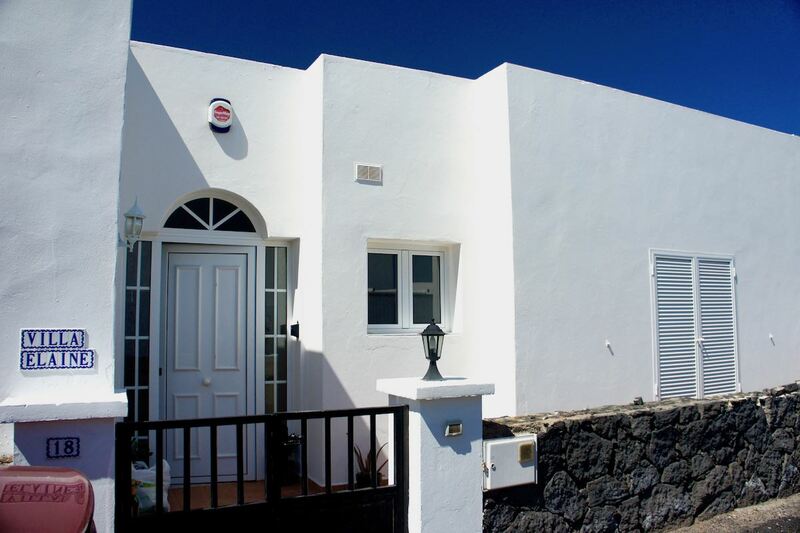 Hi Paul/Elaine just back from our brilliant stay in Villa Elaine must confirm previous reviews, excellent clean villa all beds very comfortable and clean and furnishings in lounge superb.Kitchen complete with every thing you would need, pool was used daily and was a pleasure to use, stayed in many villas in Spain/Canaries and non compare with Villa Sun we will certainly return, only sorry you have no vacancies for our September break. Thanks Jim,Karen and Marjorie,just to remind Adrian re Problem with washing drainage as on opening door smell of stagnant water. 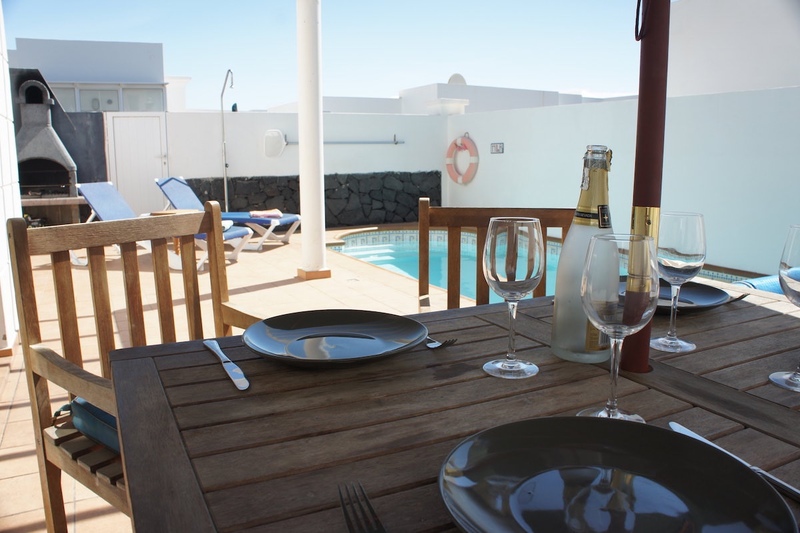 We are a family of four and first visited Costa Teguise when our son was one year old. He is now 14 and we have been going back every year ever since. We spent three weeks at Villa Elaine in August and didn’t want to go home. 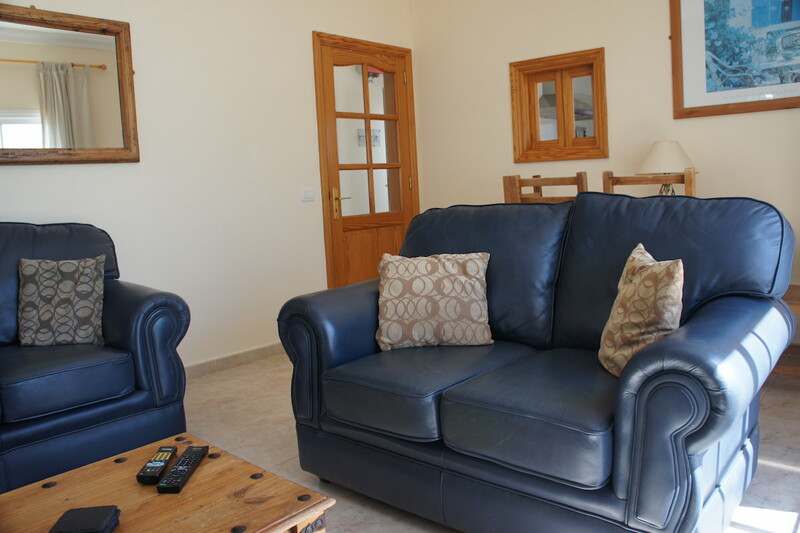 The location is perfect, the standard of accommodation is first class and the support team second to none. 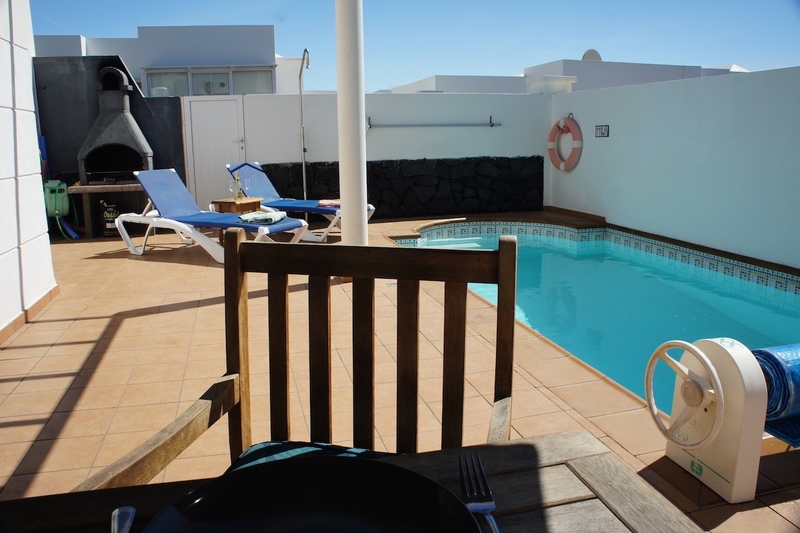 Having stayed in many locations in Costa Teguise, I will definitely return to Las Calas and would use and highly recommend Villsun. Adrian, thanks for all your help.